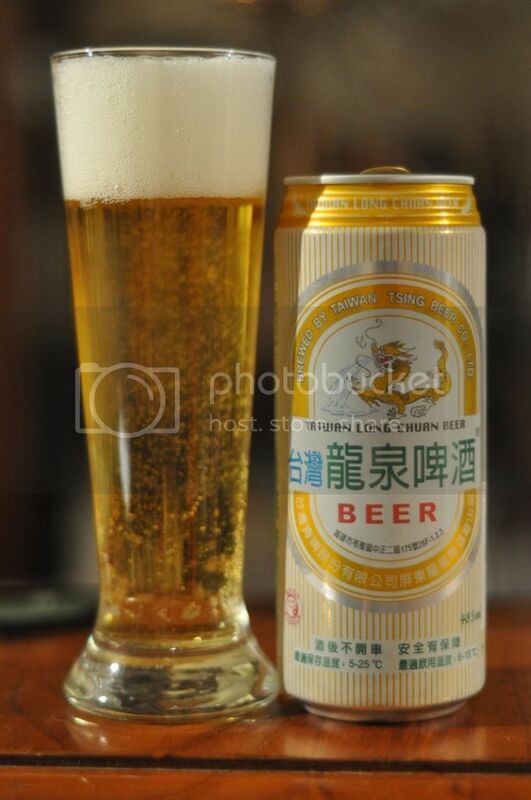 This used to be the only beer brewed in Taiwan. It was (and still is) produced by the Taiwan Tobacco and Liquor Corporation. Since the breakup of the monopoly and subsequent open trade, Taiwan Beer has continued to have a strong market share. I was shocked to find when I just googled it that Taiwan has a population of almost 24 million people! That's a larger population than Australia in an area about a third of the size of Tasmania. Not that that has anything to do with beer, but I thought it was a useful little tid-bit of information. Anyway onto the beer. The nose is clean but with heaps of sweet corn to compliment some sour grains. There doesn't appear to be much in the way of hop character to this beer and I would be surprised to find out that there are any in the beer. Taiwan Long Chuan Beer is a very mild smelling lager, which is probably a good thing as the nose that is present isn't very good. Right from the outset you can tell that this isn't a world class lager. I didn't expect this to be a great beer and it certainly isn't, but it isn't horrible either. Taiwan Beer tastes mostly of sweet grains with a tiny hint of bitterness towards the backend of the palate. The finish is dry and the zing of the carbonation of the tongue makes this quite a drinkable lager. Overall this beer leaves a very average feeling on the drinker. It was quite a refreshing beer however it didn't have anything that made it stand out from the crowd. For the price it's certainly a beer that is worth trying as a one off, but not one that I expect anyone will fall in love with. I'd be interested to hear anyone's thoughts on this one if they'd had it.